After 2 ½ hours of trading in today’s regular session, it looks as if the market is starting to get a handle on what sort of premium is appropriate for the VelocityShares Daily 2x VIX Short-Term ETNs (TVIX). Yesterday I noted that Credit Suisse (CS) suspended creation units in TVIX due to “internal limits on the size of the ETNs.” Today it is possible to track the impact of that decision on shares of TVIX relative to its intraday indicative value and/or relative to a similar ETF, UVXY. The graphic below, which is created in thinkorswim/TD Ameritrade using a “ticker” of TVIX-TVIX.IV shows the difference between TVIX relative to its indicative value. Note that this difference was as high as 1.04 points (6.0%) earlier in today’s session and has fallen as low as 2.3% in the last few minutes. For those who are unable to generate TVIX.IV quotes with their data provider, just look at today’s percentage change in TVIX minus the change in UVXY to get a sense of the new TVIX premium. Clearly the markets believe some sort of premium is appropriate, perhaps in anticipation of a possible short squeeze in TVIX. Anyone who had a position in TVIX coming into today’s session has clearly been impacted by the imbalance between supply and demand. 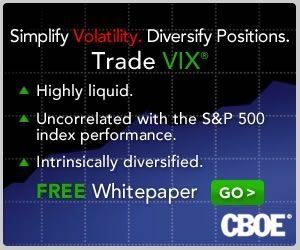 Going forward, the appropriate question for new longs or shorts is whether the current TVIX premium level will increase, decrease or remain the same. Before anyone jumps to conclusions based on a couple of hours of trading, it would be helpful to see what happens to the TVIX-TVIX.IV relationship during the next big VIX spike. I would certainly not assume that the current premium is appropriate for all market conditions. For another perspective on TVIX (as well as some top notch research on GAZ and some other ETP anomalies), check out Kid Dynamite’s excellent TVIX – Not Your Daddy’s Blue Chip.